I’ve rented a bike probably a half-dozen times while traveling. When I pick up the bike, I pull out my tape measure to set the saddle height, then ask if I can put on my 120mm, -17 degree stem. I tell them it just won’t feel right otherwise. Then they look at me as if I’m straight out of The Princess and the Pea. For the last year my bike hasn’t felt right. I’ve told people that I felt “crooked” on the bike. It didn’t used to be like that. I exchanged a few emails with a guy who works at BCSM, and when he told me that I would be seeing Andy Pruitt were I to come, I said “ok, let’s do it”. 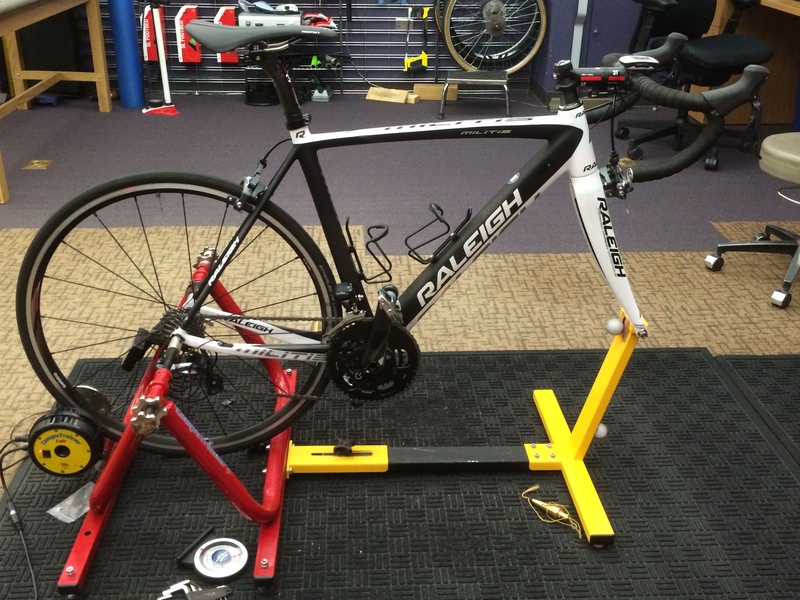 How could I turn down the chance to be fit by a rock-star bike fitter? Andy Pruitt has literally written the book (well, “a” book) on bike fitting and has worked with many Pro Tour cyclists. 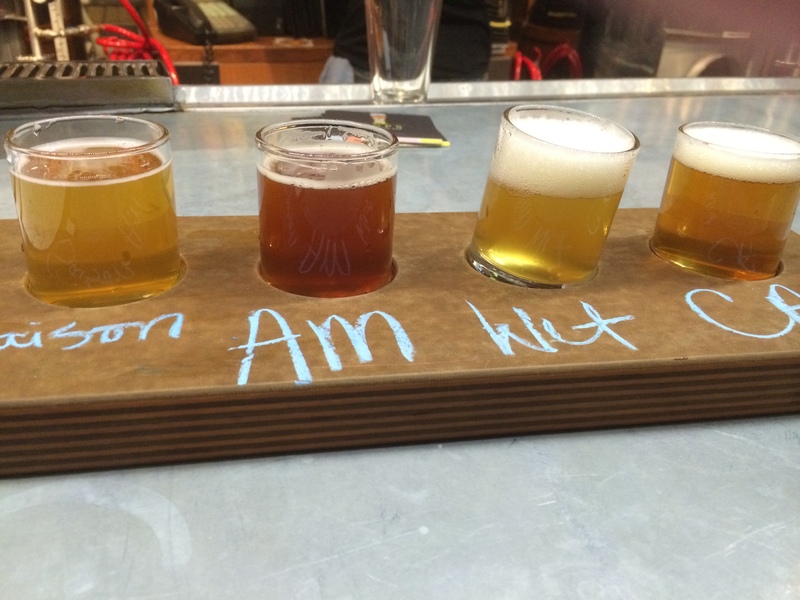 As an added incentive, there are like 1000 microbreweries in Boulder. “Beer is everywhere”, Shawn Adams told me. Arrangements were made, the bikes arrived, and I showed up first thing Tuesday morning at BCSM. I showed Dr. Pruitt a picture of my x-ray. He had a similar break, years ago. I felt like I’d hit the jackpot — not only someone who knew about cycling fit and problems, but who know about my specific problem, first hand. He poked and prodded, noted the still-apparent muscle atrophy (18 months later! ), noticed that I still limp a bit, have leg-length imbalance, and reiterated what I’d been told previously: the anatomy of my right leg is just different now. We got a baseline with my current fit, with Dr. Pruitt watching me ride. The motion capture confirmed what I had been saying: I was crooked on the bike. First step was switching pedal systems (to Speedplay, since they are so adjustable). Next was putting a wedge and shim under my left cleat. Then moving the right a bit on my shoe. Lowering the saddle a bit. Raising the bars a bit. Another capture, and I was indeed straighter, but still a bit off. Next step was putting a pressure-sensor pad over the saddle to get a ‘heat map’ of the pressure points. Before doing it, I said that I felt like most of the pressure was on my left side. The pressure map confirmed it — bright red on the left side. We tried a different style / shape of saddle — one where I would be sitting more on top, and that would encourage me to rotate my pelvis forward more. Another look at the pressure map, and wow, it was amazing how it had evened out. This got me pretty close to straight on the bike. It felt good. I liked the pedals. The saddle would take some getting used to. We moved to the TT bike, which went much quicker. A few minor adjustments, but nothing major. By the time I got dressed and got my bikes back in the car, it was after 3pm. I’d been there most of the day. It’s been over a month now, so I’ve had time to adjust to the changes. The new setup is most definitely better. I love being on the new pedal system. It took a while to get used to the saddle, but I like that too. It’s clear to me that I am sitting straighter on the bike, with more even pressure on the saddle. It still doesn’t quite feel like the “old me” on the bike, but the gap is closing.